A very intriguing book which describes real-world situations meant to bring into the light the very old old question of nature vs. nurture. The athletes he covers such as Michael Phelps, Serena Williams and Usain Bolt are extremely successful in their sports but are they natural athletic “freaks” or are they simply athletic people who have honed their skills to the highest level? Certain segments of the population have genetic advantages because of their ancestry. For example, more hemoglobin lets some train and recover faster, have better bodies and proportioned limbs for their sport, etc. Stefan Holm is a Swedish high jumper who had trained his whole life and in this book is compared to Donald Thomas who trained for about a year and won the World Championships. Thomas had an unusually elastic achilles tendon which catapulted him like few others could. Great example of the natural talents some have. While some people definitely have genetic predispositions which give them natural advantages over others, it still takes incredible determination and commitment to turn these skills world-class. It is somewhat frustrating though to hear how in one year Thomas was able to beat Holm in the high jump. Holm was solely dedicated to this sport for his entire life but still could not match Thomas’ natural skills. 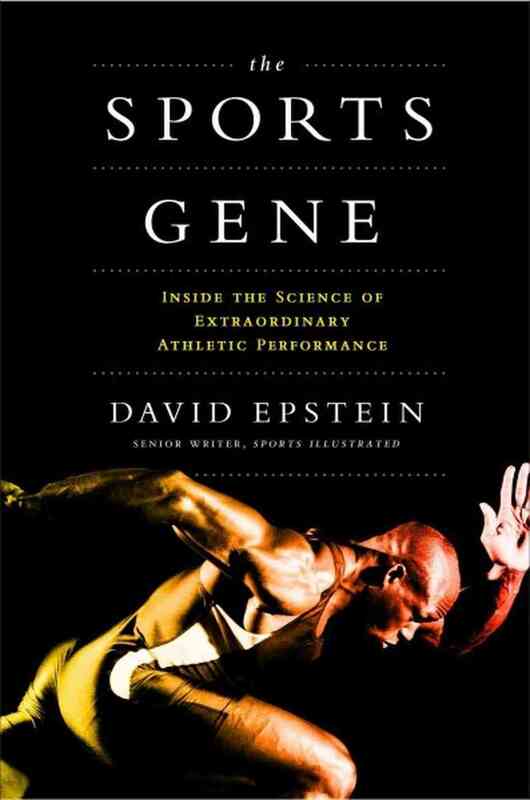 This entry was posted in Books and tagged David Epstein, Genetics, Sports on March 1, 2015 by Blas.